Home » Blog » June is Dairy Month! We’re celebrating with great recipes using our favorite dairy ingredients. Visit Land O’ Lakes to get some great new ideas to impress everyone at your next family gathering! A personal favorite is the Tres Leches Cake with Berries. 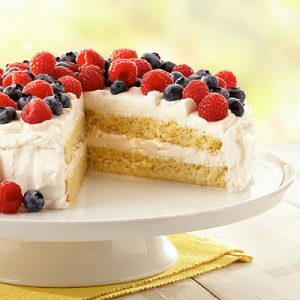 We’ll be serving that very soon as the fresh blueberries and raspberries pair very well with this delicious cake!